Who Governs The Internet and whose property is it? The recent exposes and revelations by Edward Snowden about the Top Secret Internet Snooping program currently run by US National Security Agency (NSA) have shocked the world. The extent of snooping is even more shocking and what has just stunned the world is the sheer name of top Internet companies who had shared data of all their users and not to forget except Microsoft, all of them namely Google, Facebook, and Apple have longed established themselves as the outright defenders of free speech and Right to Privacy. Many of them are funders and donors of Electronic frontier foundation in US. The recently formed renowned organization defending right to privacy and free speech on Internet. Though much is being written about the extent of snooping, leaked Memos, Obama's Admissions, NSA's careful acceptance of the snooping Program but What bothers me is the stand of Indian Government in this mess. We are reportedly 5th most spied country by US NSA under this program and today first and only official statement from Indian foreign Minister has not only been disappointing but extremely absurd and ridiculous. The people with free big offices and herculean staff who are supposed to Oversee Cyber Security and Internet Related issues in India are maintaining calculated silence. Not a word has been uttered by anyone in Ministry of Home Affairs or Ministry of Information Technology. Rather heroic incidents of failed attempts by NTRO to break into servers of these companies have been written about. 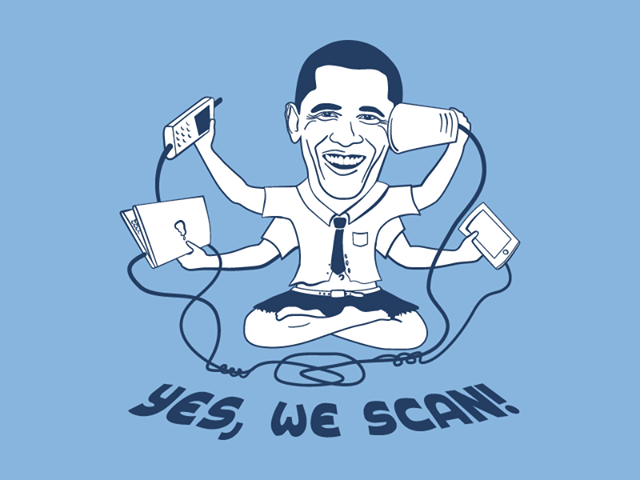 If this issue of Internet Snooping by US NSA is deeply debated and deliberated upon. It raises one single fundamental question. Which country has the Jurisdiction and administrative control over the Internet? Since the Internet Operations are being run and regulated by autonomous organizations like ICANN and with their offices and servers lying in US. Today they technically and legally fall under Jurisdiction of US Courts and administrative control of the United Sates Government. This situation enable US Agencies like NSA to treat and use these companies as Subjects of US laws and enforce their Government or Judicial orders accordingly. To make these things worse is the Concept of 'Top Secret Court orders' in United States. Top Secret Court orders makes it impossible for any outsider to know about any Surveillance order obtained by US government from any US court unless they inform public about it. Any possibility of revelations, information or objections by Internet companies like Google, yahoo on how and why such government orders are can be done by government in US by issuing in parallel a Government Gag Orders. This makes mass surveillance a comfortable and easy job as Companies have to simply comply with US snooping orders and can’t even speak up against it or even utter a word about it. Courts will not comment and stop it too as they themselves have legalized them. So no judicial remedy is left against such acts. Even if any Citizens or organizations by any remote chance come to know about such programs, they can’t even seek any information about them even under Freedom of Information act. No foreign Government can question authority or validity since nothing exists on record in public domain. 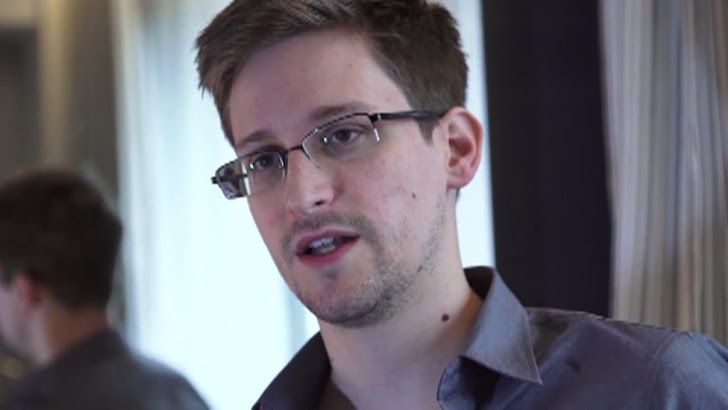 As per Edward Snowden even British agencies are coordinating with US NSA. They too were doing their holy by snooping on all digital communications of world leaders at G8 summit and on all Diplomatic missions of European Union but this is not all. They snooped on all Internet data passing through 7 Deep sea optic fibre cables passing through British Sea waters. Now again technically these optic fibre cables where cut were in British waters but then the Question to be debated is whether Data passing through them becomes British property during passage in British Territory? Because if same analogy is applied then all gas coming to India through proposed India-Iran Pipeline passing through Pakistan will become the property of Pakistan while it passes through Pakistan. For long we have thought of countries like China, Iran as true enemies of Internet Freedom. We have often criticized our Government's actions sometimes impeaching our Rights on Internet. We have long debated and categorize issues like arrest of girls in Mumbai for Facebook posts or a person's arrest for tweets against politicians as only major issues relating to Internet Governance and Cyber Laws. Espionage, Survive lance and Privacy have always been on the back seat. And the main reason for this has been lack of technical understanding by lawmakers and lack of understanding of law and governance by Technologists. Lawmakers may be forgiven because of their age and lack of understanding but technologists who are otherwise famous for their grandstanding on every issue often thought Internet regulations and laws were completely out of technological domain and only new coding languages and databases should be debated in technical companies. This has led to a complete scarcity of techno legal thinkers in India. But forgetting the past, the time has now come to turn obstacles into stepping stones. Weaknesses into strengths… The time has now come to settle the longest pending controversial issue in the Internet History, The issue of Jurisdictions of Nations over Internet and Global Mechanism of Internet Governance! We will open the debate by putting it on Special Agenda during upcoming "The Hackers Conference" in Delhi on August 25 2013. United Sates of America, the so called land of Internet freedom, nation always cherishing free speech, the beacon of Freedom of expression has turned out to be a fallen angel. We must now debate if the has the time come to put Internet regulating and administrative bodies under strict UN Laws and UN Control? Post Script: To all the software Geeks, All of us who use Androids, Macs, Windows on Phones and machines are now victims of US Spying. Forget malicious apps, Forget researching on Behaviors based Anti-Viruses as solutions for future. Junk them all. Here we are confronting Information theft by protectors themselves. Who spies and for whom is the only difference now. Let us debate Who Governs Internet and whose property is it? Guest Post by Jiten Jain, Cyber Security Analyst, Xebia.